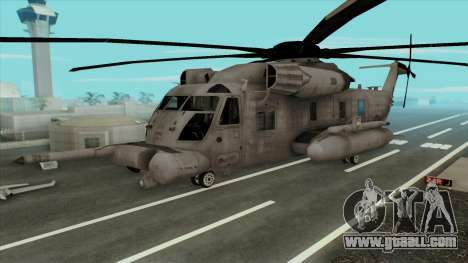 Good mod on the helicopter CH-53 Blackout from Transformers for GTA San Andreas. 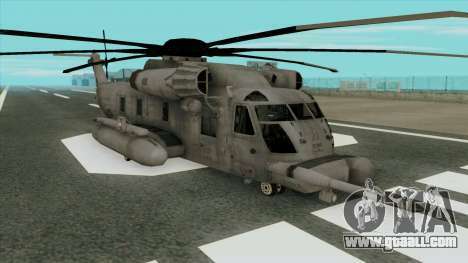 Looks very powerful and menacing! 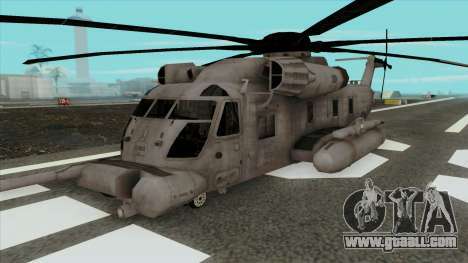 - Camouflage color helicopter help hide him in the forests, mountains and fields. 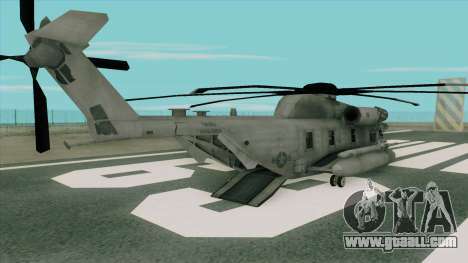 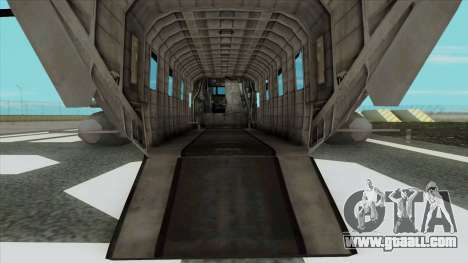 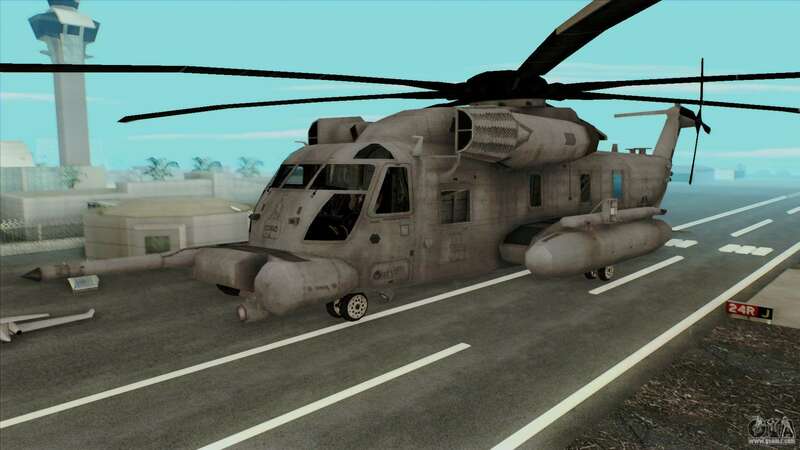 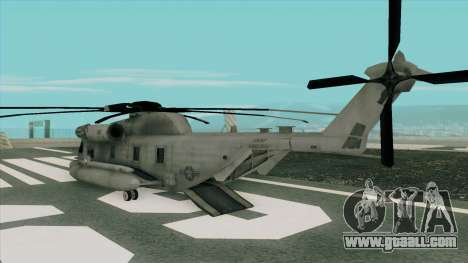 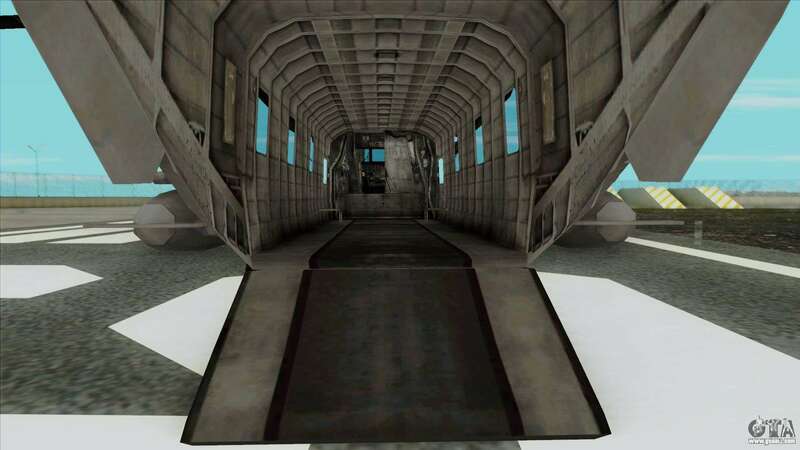 Download and install the modification of CH-53 Blackout from Transformers for San Andreas, you can use our automatic installer. Mod replaces the standard model of the Cargobob helicopter.